Last but certainly not least our final graduate to join us in 2017 is Hannah! 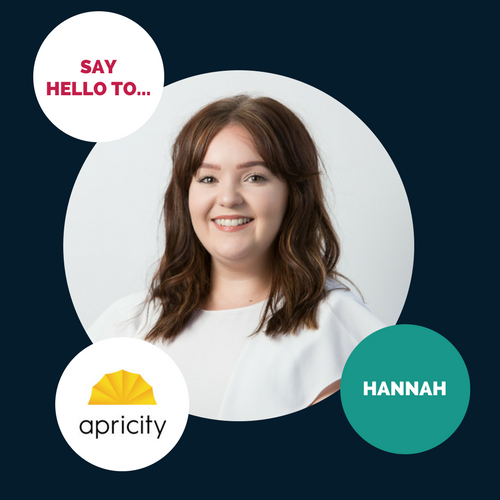 Due to the success of our Grad Scheme in creating capacity and growth in Para-Sols, we’ve extended our opportunities to our new sister company Apricity and Hannah is officially our first TGS recruit! She certainly won’t be the last as she came to us by default, originally interviewing for Para-Sols but her law background made her skill set perfect for compliance. We’ve formalised the role this year, so head on over to our vacancies section to find out more about it.